This blog post is part of the Pay Down My Debt (PDMD) blog tour, sponsored by US Equity Advantage. PDMD is a solution that accelerates debt payoff and helps consumers monitor their credit and make smarter purchasing decisions. If you’re looking to pay off debt find out how they can help. Are you struggling with debt? You’re not alone. According to 2016 figures from NerdWallet, the average American family with credit card debt owes a whopping $16,748. But, that’s not all. Households with student loan debt carry an average of $49,905 in student loans alone! It’s a serious problem that’s crushing our financial freedom and limiting our options. Why Should You Pay Off Debt? We truly believe that choosing debt freedom can change your life. It certainly changed ours. In our book Zero Down Your Debt, we discuss how “Debt is the single biggest obstacle standing between you and your dreams.” It’s true. When you owe money to others, you obviously have less to spend on the things you want. You may not actually realize how much this affects your bottom line until it’s gone. Individually, each small debt isn’t that bad. But, when you add them all together, you end up spending thousands a month on things you really don’t want or need. By eliminating debt, you’re essentially giving yourself a monthly raise! In our case, that meant saving more, earning more, and using the extra to travel the world. With a little time, knowledge, and effort, you can live your own debt-free dreams too! Getting out of debt may seem overwhelming, but it doesn’t have to be. Just take one small step at a time and you can get there. Starting a budget and tracking your spending provide a great foundation for getting started. Once you’ve plugged the leaks, you can start paying down your debt even faster. The quicker you pay it off, the more you’ll save in interest, and the faster you can start using that money on things that are actually important to you. To get in front of your debt, it’s essential that you pay more than the minimum due. But let’s face it, that’s not always so easy. Luckily, there’s a super secret trick you can use to pay off debt quickly… even if your budget is a little tight. Want to know what it is? Make your payments bi-weekly instead of monthly. If you’re like most people, you’re making payments once a month. That amounts to 12 monthly payments each year, or 24 payments if you pay twice a month. But by making a slight adjustment and paying every other week, you actually make 26 payments during the year. That’s the equivalent of making an extra monthly payment annually. Why is this so important? Making an extra monthly payment can save you thousands of dollars in interest and cut months, or sometimes YEARS, off the length of your loan. That’s real money you’re saving, all by making a simple adjustment that you’ll barely notice. To make things even easier, try automating the process with Pay Down My Debt (PDMD). This app helps you make automated payments on mortgage loans, student loans, credit card bills, and car payments. Simply sign up for an account, connect your loans, and you’re set to go. Pretty simple, right? Here’s the important part: PDMD actually pays your loans on a bi-weekly basis. As we mentioned above, this is HUGE. The extra payments are applied directly to your principle balance, resulting in a reduction of interest charges and cutting months (sometimes YEARS) off the length of your loan. Of course, you can certainly do this all on your own… but will you? That’s the benefit of using an automated system. Once you’ve set it up, you just let the app do the work for you! Look, I want to see you get out of debt using any method possible. If you’re looking for an easy, automated way to do it, PDMD can help. Using a bi-weekly payment approach to accelerate debt repayment, Pay Down My Debt helps you automatically make an extra monthly payment every year, saving you tons of skrilla in interest. It may not be the fastest way to pay it off, but it works. So, if you like the concept of bi-weekly debt payments but don’t trust yourself to follow through, automating with Pay Down My Debt could definitely be for you. Good luck, and let me know how it goes! Get Started With “Pay Down My Debt” Here! 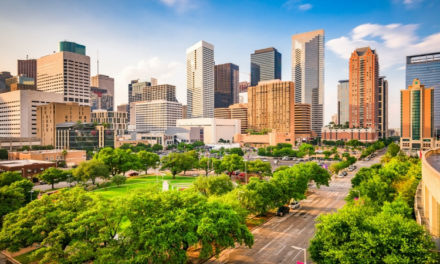 Houston CityPASS Review 2019: Is It a Good Deal? Agreed! Sometimes it’s useful to automate your debt overpayments so you don’t even have to think about them. I preferred to automate my minimum payments and slam every extra penny onto the debt at the end of the month. Paris Pass Review 2019: Is It a Good Deal For You?